Both Full and Half Shares are available for 2019. CSA members subscribe before the growing season starts. During harvest (early June to late November), members come to the farm (or to a Keene drop-off site) weekly to pick up their share of the garden’s bounty. 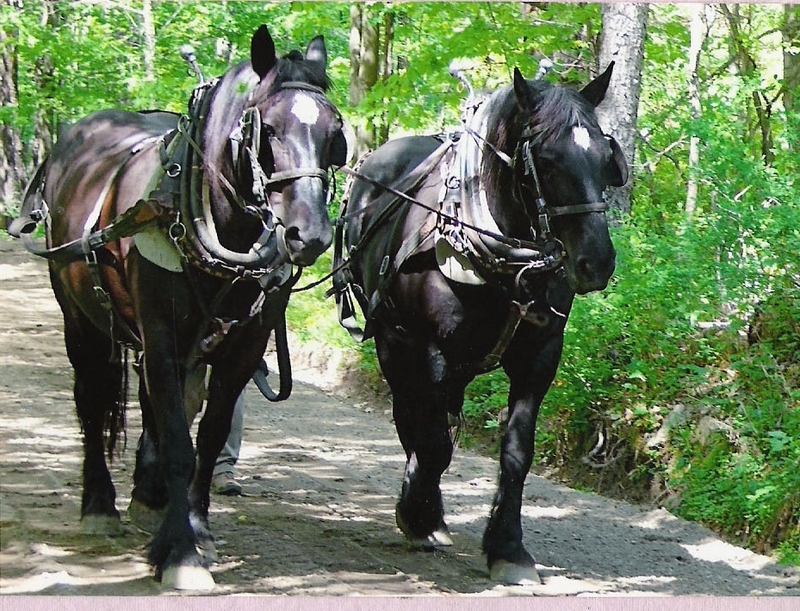 Full shares feed 2-4 adults, or a small family, and are picked up once a week. Half shares, picked up every other week, are suitable for one or two people. Vegetables are harvested and washed on distribution days, and are ready for members to weigh or count out at the harvest shed. Some vegetables, especially those that are challenging to grow or very popular, are metered out (for example, one head of lettuce per week). • Free-choice items: For produce we have in abundance, members are invited to take as much as their household would reasonably eat between pick-up days. • You-pick opportunities: Some crops are very labor-intensive to harvest, so “you-pick” allows members to harvest their own vegetables, and allows the farmers the time to harvest everything else! • Surplus and sharing tray: Members are invited to put in the tray any part of their metered-out share they can’t use or don’t want, and any member can take whatever is there. The farmers also add the occasional too large zucchini or seconds tomatoes. To help make CSA membership available to a broader range of people, we have a CSA Share Scholarship Fund. This fund gives members the opportunity to respond to economic disparities, and further strengthens our sense of community. We also offer CSA shares through EBT- SNAP (Supplemental Nutrition Assistance Program) and the Granite State Market Match. 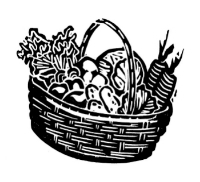 To join Hillside Springs Farm and CSA Garden, please print and fill out our membership form. 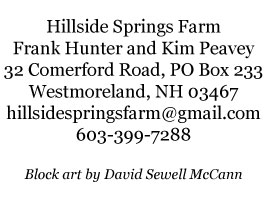 Send the form, along with a check payable to Hillside Springs Farm, to PO Box 233, Westmoreland NH 03467.